Pets are an important part of Darwin’s lifestyle and are more often than not loved members of our family. 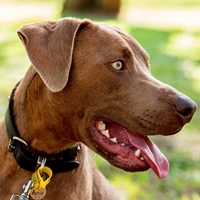 At City of Darwin we are primarily responsible for managing dogs and cats throughout the municipality. Owning a pet brings many benefits to us as owners and can dramatically improve our quality of life. It is also a large responsibility not only because of the daily needs of your pet, your pet also becomes a part of the community. When addressing the task of managing dogs and cats, we've considered many aspects, including the benefits of pet ownership and the health and wellbeing of residents. This Dog and Cat Management Strategy will guide Council and the community towards the goal of responsible pet ownership and management. To succeed, it requires active cooperation from the community, particularly pet owners and their representative groups.